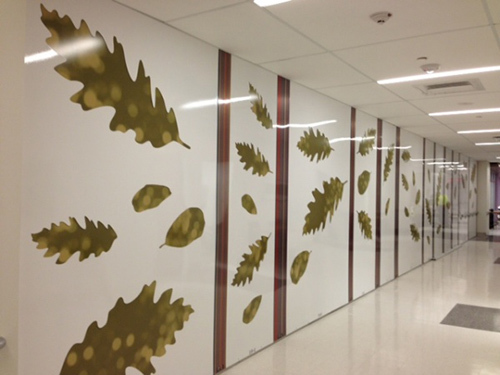 This project was custom designed by a local artist and laser cut by RiverCity. The material was aluminum with a printed vinyl background. Included powder coating white as well as printing of the vertical stripes with a clear coat top layer. 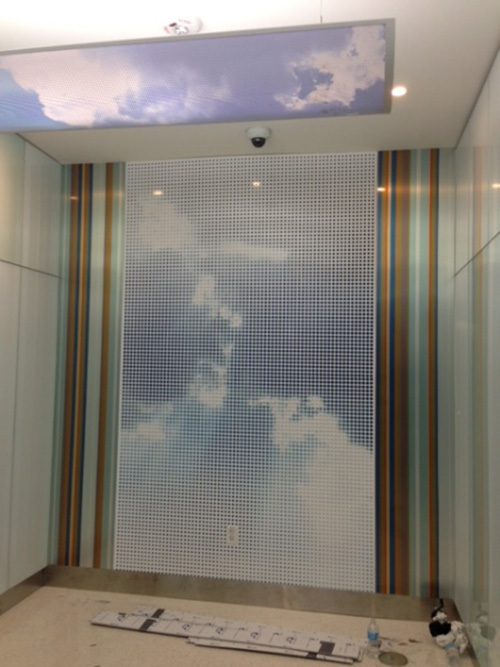 As well as a custom perforated single panel with over 3,000 holes for the elevator wall. Total of 6 floors with each floor a different pattern and total number of panels.